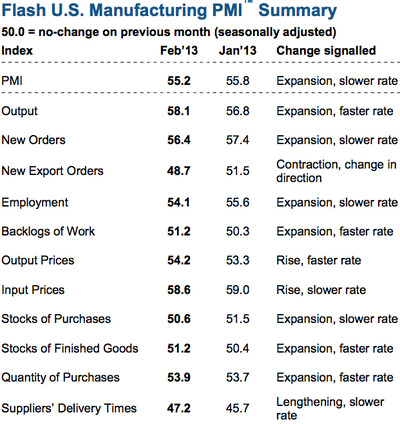 UPDATE: Markit’s preliminary PMI estimate for February is out. The index fell to 55.2 from last month’s 55.8 reading. Economists predicted a smaller drop to 55.5. Any reading over 50 indicates expansion, so today’s release indicates a slowing pace of expansion. One sub-component, however – new export orders – dipped into contractionary territory. ORIGINAL: Minutes away from the release of Markit’s flash U.S. PMI index reading for February, due out at 8:58 AM ET. 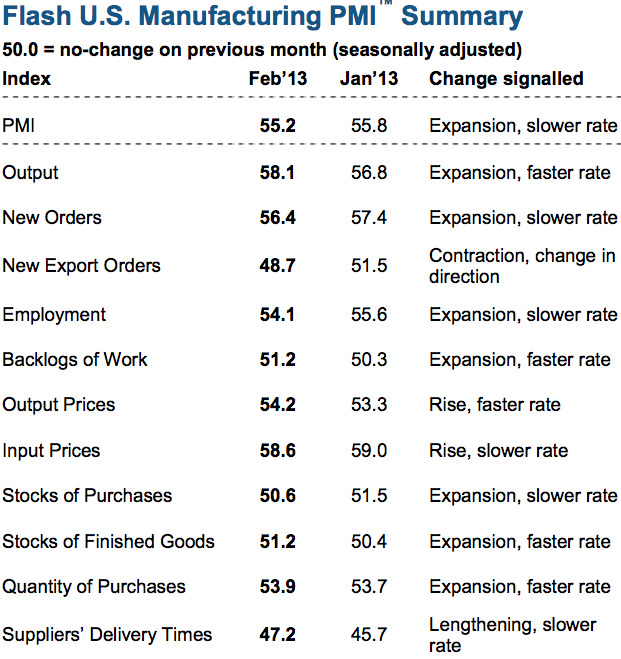 Economists expect the index to moderate to 55.5 from last month’s 55.8 reading.